Where: On any road especially at intersections and pedestrian crossings. 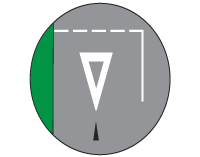 Purpose: To indicate where you must bring your vehicle to a standstill. Action: Stop with the front of your vehicle behind the stop sign. 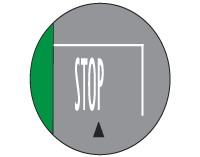 If there is no stop sign, the stop line will have the same meaning as a stop sign. Where: On any road especially at intersections. Purpose: To indicate that you must give priority to all who cross in front of you at this point. Action: Give way to any one who crosses your path of travel or who wants to cross your path. Even if there is no yield sign, you still have to give way.